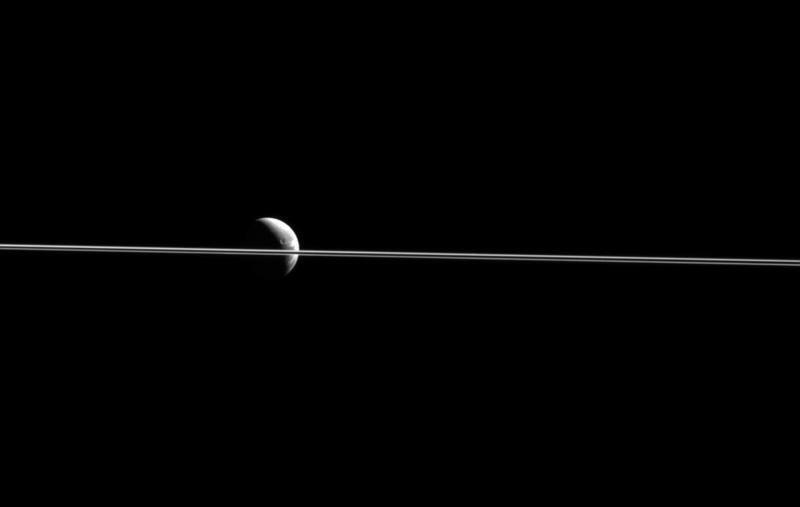 NASA has shared a stunning new image of Dione, a moon of Saturn, which appears cut in two by the planet’s razor-thin rings. 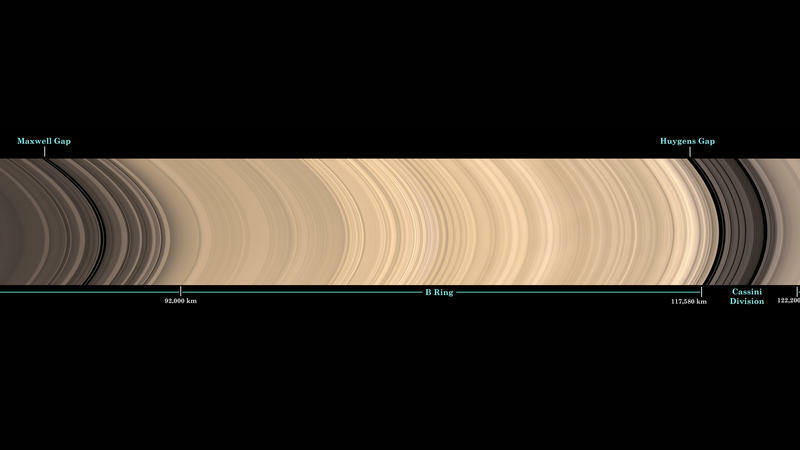 According to the agency, the image was captured by the Cassini spacecraft just 0.02 degrees above the ring plane. 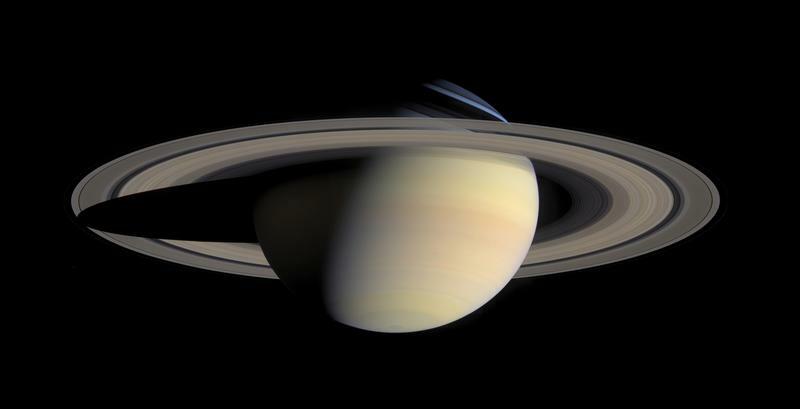 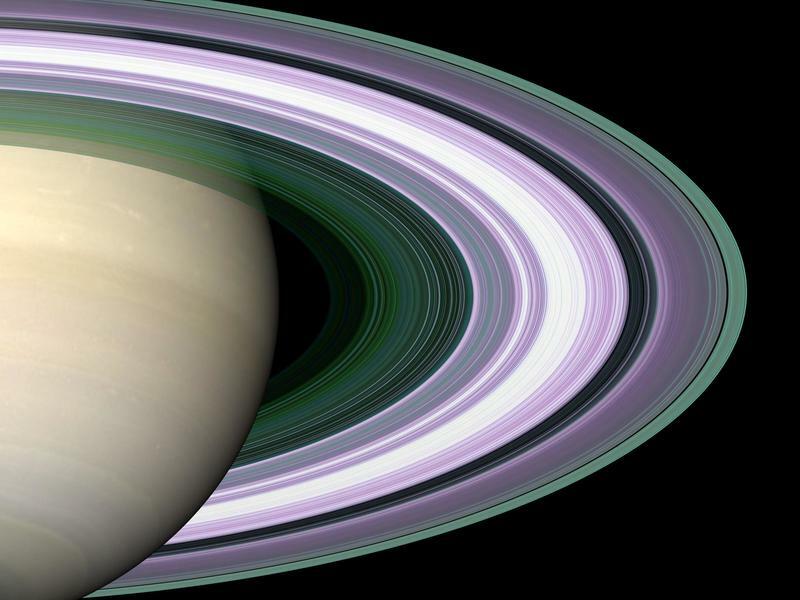 Scientists are still making surprising discoveries about Saturn’s rings, with researchers a few weeks ago saying the planet’s most opaque rings don’t necessarily contain the most material. 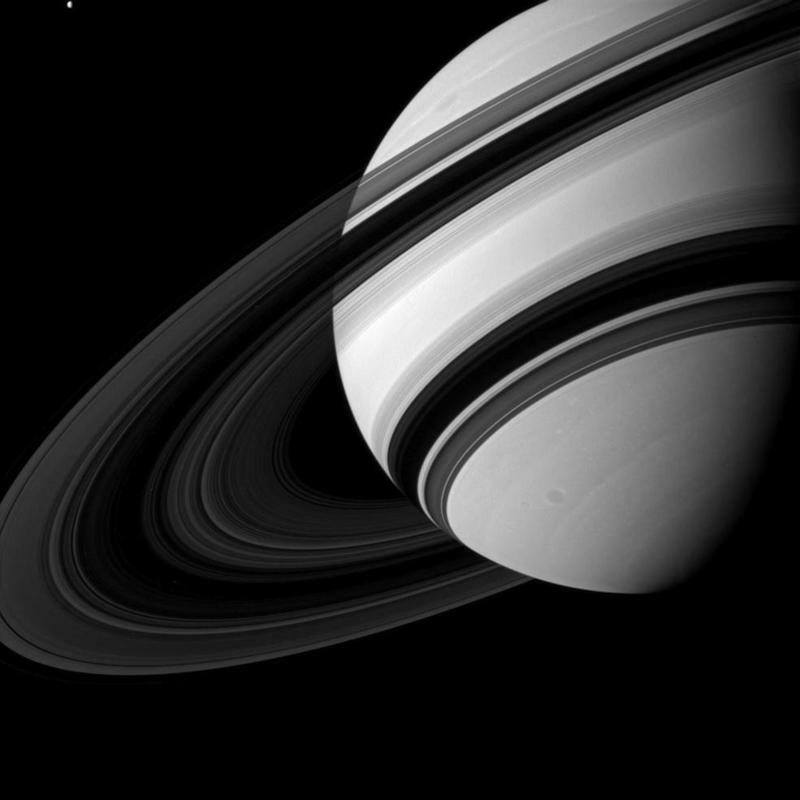 Saturn contains over 60 moons, and Dione itself is only about 698 miles in diameter. 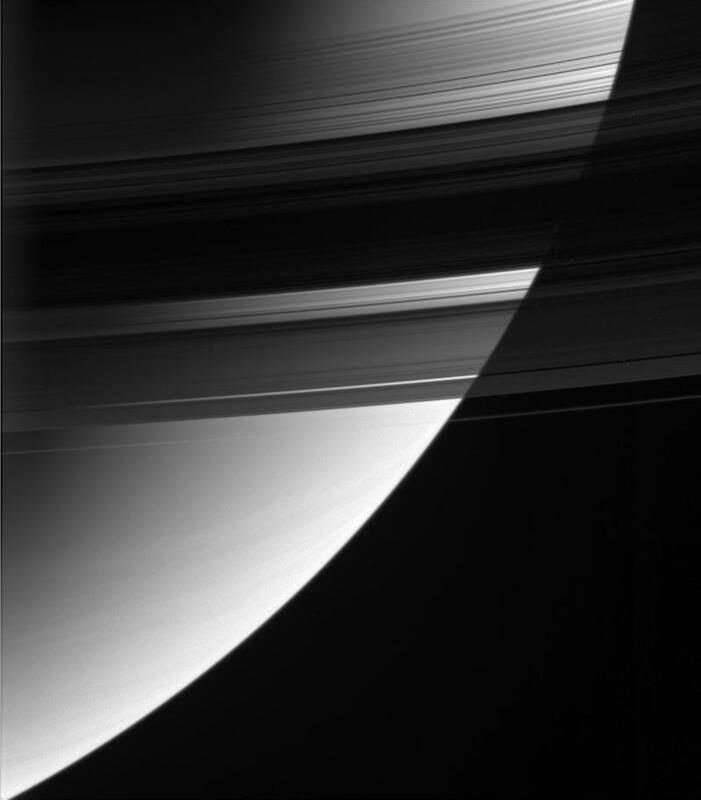 Earth’s moon, by comparison, is about 2,159 miles in diameter.